Our very busy school council delivered an amazing total of 175 shoeboxes to the Rayleigh depot this morning. 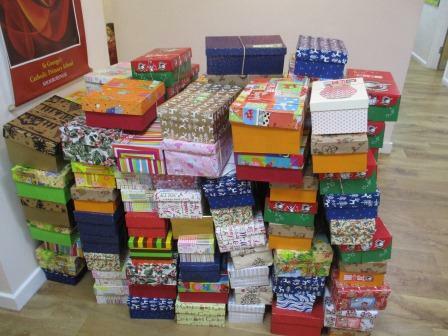 They then stayed to help sort and pack shoeboxes ready to to shipped off in time for Christmas all over the world. Thank you to all from school and parish families who contributed to this fantastic total.